UFC comes to Canada for the first time ever on Saturday, April 19th! One year ago, Matt "The Terror" Serra shocked the world by defeating Georges "Rush" St-Pierre for the UFC Welterweight Championship. 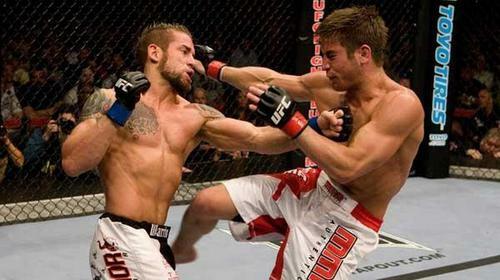 Now, after defeating Matt Hughes in December, St-Pierre enters the Octagon as the Interim Welterweight Champion to face the man who took his title - this time, in his home province of Quebec. Can Serra beat St-Pierre for a second time? 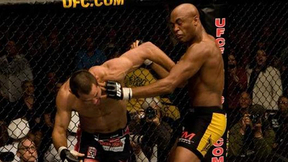 The undisputed king of the 170-pound weight class will be determined at UFC 83: SERRA VS. ST-PIERRE 2 - Saturday, April 19, live on Pay-Per-View from Montreal, Quebec. Georges St-Pierre vs. Matt Serra UFC 83 Sat, Apr 19, 2008 (31:18) Welterweight Champion Matt Serra returned to the Octagon to take on interim Champion Georges St-Pierre in St-Pierre's hometown of Montreal, Canada. Would lightning strike twice for Serra, or would St-Pierre get his revenge? Rich Franklin vs. Travis Lutter UFC 83 Sat, Apr 19, 2008 (24:16) Rich Franklin returned to the Octagon™ to take on submission specialist Travis Lutter as the UFC® headed to Montreal, Canada. 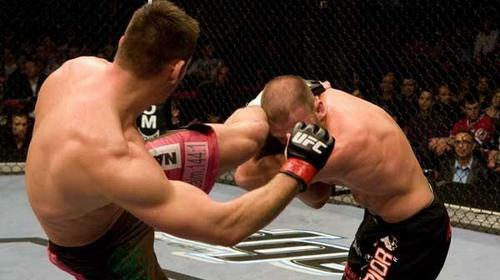 Michael Bisping vs. Charles McCarthy UFC 83 Sat, Apr 19, 2008 (14:22) After winning the 3rd season of The Ultimate Fighter, Michael Bisping had become the UK’s ambassador to the sport. He recently had suffered his 1st career loss, but he was hoping the move to the middleweight could enhance his already proven skills. 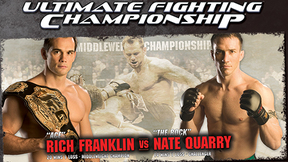 Nate Quarry vs. Kalib Starnes UFC 83 Sat, Apr 19, 2008 (29:30) TUF 3 Alum, the 33-year old Starnes is looking to put on a show for home country fans who he hasn’t fought in front of in over 2 years. Some thought Nate Quarry wouldn't recover after surgery. But after his bout with Pete Sell, is he better than ever? Mac Danzig vs. Mark Bocek UFC 83 Sat, Apr 19, 2008 (28:03) After a competition that saw him survive 6 weeks in a house with 15 other fighters, Mac Danzig emerged victorious from season six of The Ultimate Fighter. Ontario’s Mark Bocek aims to give Danzig a little dose of reality, UFC style. 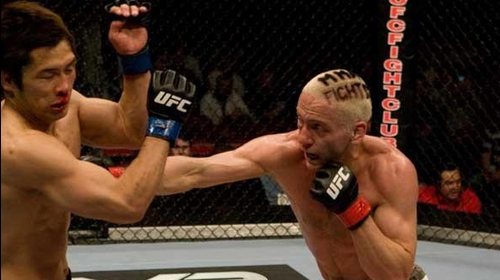 Jason Day vs. Alan Belcher UFC 83 Sat, Apr 19, 2008 (14:18) A 5 year veteran from Lethbridge, Alberta, Jason Day has been racking up a series of wins over Goulet, Faircloth, and Loiseau. 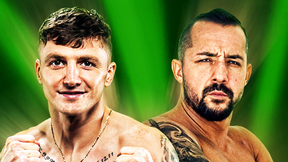 He's looking to continue against Mississippi’s Alan ‘The Talent’ Belcher, who's wins over Salmon and Starnes are cause to worry. 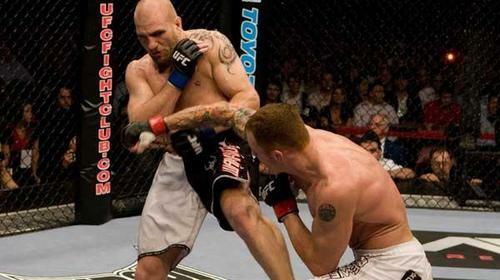 Jason MacDonald vs. Joe Doerksen UFC 83 Sat, Apr 19, 2008 (18:05) Winnipeg’s Joe Doerksen has forgotten more than most fighters know over the course of his 9 year career. 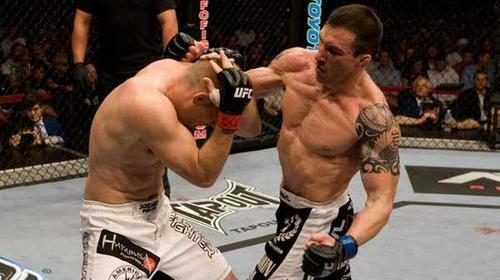 Yet despite 50 fights, he's only 30 years old and faces Edmonton’s Jason MacDonald who submitted him in 2005, since built a well-versed 19-9 rep.
Demian Maia vs. Ed Herman UFC 83 Sat, Apr 19, 2008 (18:58) Sao Paulo, Brazil’s Demian Maia impressed fans from the 1st time he put the gloves on and had since gone on a seven fight win streak. 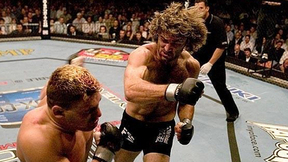 Meanwhile, his opponent, TUF Finalist Ed “Short Fuse” Herman, was on a tear, submitting Price & Smith and scoring the 1st KO of his career at UFC 78. 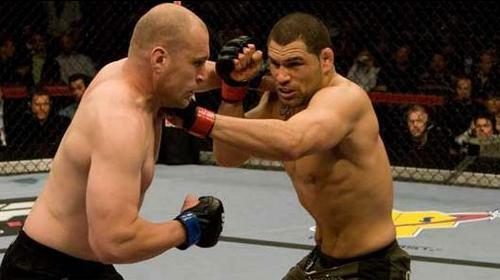 Cain Velasquez vs. Brad Morris UFC 83 Sat, Apr 19, 2008 (11:16) A five year veteran of the sport, Brad Morris was on a three fight winning streak and had a second round stoppage in his last victory. Facing him was a member of the famed AKA camp, Cain Velasquez, who, despite only having two pro fights, had plenty of buzz surrounding him. Jonathan Goulet vs. Kuniyoshi Hironaka UFC 83 Sat, Apr 19, 2008 (18:21) Kuniyoshi Hironaka is a well-rounded vet who's squared off against the best in the game over the last 6 years, including Jon Fitch and Thiago Alves. Victoriaville, Quebec’s Jonathan Goulet has a fresh dose of energy after wins over Chambers and Georgieff.